Looking for a way to donate a vehicle in Allentown, PA? Curious about how the process works and what you have to do to get started? Goodwill Car Donations is here to make it easy to make a difference. Once you get in touch with us to say you’re interested, we’ll handle everything else. Get in touch with us — via phone or online form. Let us pick up your vehicle — at no cost to you. Once you get your tax receipt, you’re free to cancel insurance and registration details. You no longer have to keep, store, insure, or maintain a vehicle you don’t need, and you can rest easy knowing that it’s being put to good use. Depending on the condition of your car and when it’s received, we’ll take it and auction it for sale in order to generate funds for local programs. While obviously the better a vehicle’s condition, the more it can command in terms of price, every donation helps! What’s more, for people who are hurting, disadvantaged, and/or having a hard time finding work, the help donations provide can make all the difference. Your donation goes straight toward creating new job skills and training for the individuals who need it. What Kinds of Vehicles Qualify for Donation? Maybe you have a car that no longer runs or a vehicle that’s unusual. Either way, chances are, we’d love to take it off your hands. Because we haul away donations at no cost, it makes no difference if it’s running or not when you donate it. Likewise, because we take vehicles of all kinds, you can give us your car, truck, van, bus, boat, motorcycle, RV, you name it! We take almost all kinds of vehicles. When you donate a car in Allentown, PA, you do more than make a big donation — you transform lives. At Goodwill Car Donations, we use the very donations people like you choose to make to fund programs that give people help right when they need it. Enjoy a seamless donation process. Have us haul away your vehicle at no charge. Qualify for a possible tax deduction. 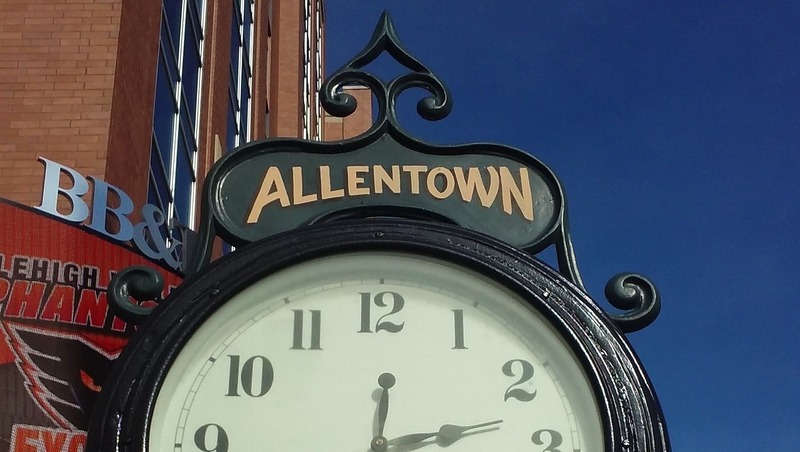 Help hurting members of the Allentown, Pennsylvania community. What do you say? Are you ready to make a donation and help your neighbors in Allentown? If so, get in touch with our team. Simply call or fill out our online donation process with some basic details about your vehicle, and we’ll be in touch!